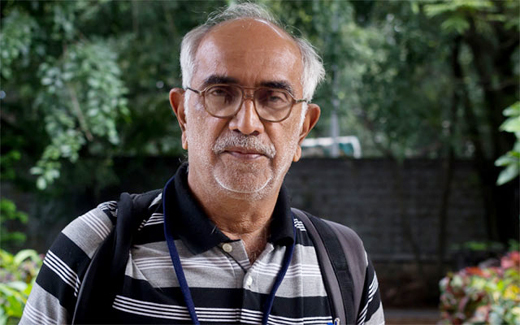 Mangaluru, Oct 24: Atheist Alliance International, Headquartered at Washington, USA elected Prof. Narendra Nayak as a member of the Board of Directors of AAI representing Asia. Mr. Howard Burman, Secretory of AAI welcomed him to the Organization. AAI is a charitable non-profit organization committed to raising awareness and educating the public about atheism. We, at Atheist Alliance International, have the greatest respect for Narendra’s dedication to the people of India and his commitment to rationality. So the AAI board decided to make a financial contribution to help fund his recent tour and we sent AAI member, Rustam Singh, along to learn the trade. Perhaps, we’ll be able to keep these wonderful workshops going after Narendra finally hangs up his spurs. Since 2004, Professor Narendra Nayak has made it his job to expose these charlatans. He travels the villages of India holding workshops at his own expense, showing how the tricks are done, how to detect fraudsters, and how to think critically, all presented with his trademark sense of humor. Now, at the age of 67, after conducting well over 3000 workshops. Atheist Alliance International is a charitable non-profit organization committed to raising awareness and educating the public about atheism. Founded: 1991. Motto: "For a Secular World"
Atheist Alliance International (AAI) is a charitable non-profit organization committed to raising awareness and educating the public about atheism. It does this by supporting atheist/free thought organizations around the world through promoting local campaigns, raising awareness of related issues, sponsoring secular education projects and facilitating interaction among secular groups and individuals. AAI was founded in 1991 as Atheist Alliance, an alliance of four U.S.-based local atheist groups. Over time Atheist Alliance expanded, adding both local/regional U.S. groups and international groups as members. The organization changed its name to Atheist Alliance International in 2001. In 2010 and 2011 members approved the separation of the U.S. and international segments of AAI into separate organizations, to accommodate the different strategic interests of each group. The U.S. group of AAI was renamed Atheist Alliance of America (In 2016, AAoA sought and achieved autonomy from the decision-making Affiliate Council. ); the international group retained the original AAI name but adopted new bylaws and a new organizational structure. The launch of the newly restructured AAI occurred at the World Atheist Convention in Dublin, Ireland on 3 June 2011. In 2013, the AAI was granted special consultative status by the United Nations. In this role the AAI will be able to better serve atheists facing persecution from their governments. In the spring 2017, the Board voted to re-organize AAI. The focus changed to a stronger emphasis on supporting atheist/freethought groups around the world in their efforts to normalize atheism. To be more responsive to groups and their campaigns, certain bylaws needed to be updated. At the Annual General Meeting held in May 2018, a new structure was voted in. AAI’s Board still consists of between 4 and 13 Directors elected for two year staggered terms. Affiliates or individual members can nominate candidates for the Board at anytime. Current Directors are listed on the organization’s website. AAI has two types of memberships - affiliates and individuals. Affiliates are the atheist/freethought groups around the world which have their own individual members and operate in a democratic manner. Individual members are people who wish to support the work of AAI. AAI’s vision is a secular world where public policy, scientific inquiry and education are not influenced by religious beliefs, but based upon sound reasoning, rationality and evidence, and where individuals who lack religious beliefs enjoy free speech, freedom of association and freedom to participate in public life. AAI’s mission is to support atheist/freethought organizations around the world by assisting them with; local campaigns, outreach, secular education projects, coaching and promoting interactions among these groups.